Last November, a JLARC – Joint Legislative Audit and Review Commission study revealed that tax breaks favored select Virginia groups and individuals in 2008 in the amount of $12.5 billion, which is equal to 90% of the $14.3 billion in actual individual and sales taxes paid by Virginians. Government spending in Virginia has grown at twice the population growth for the last decade. If the General Assembly repealed all special-interest tax preferences, and reduced Virginia income tax rates by a commensurate amount, the tax rates and Virginia sales taxes could be reduced by nearly 50% allowing Virginians to keep more of their hard-earned money. 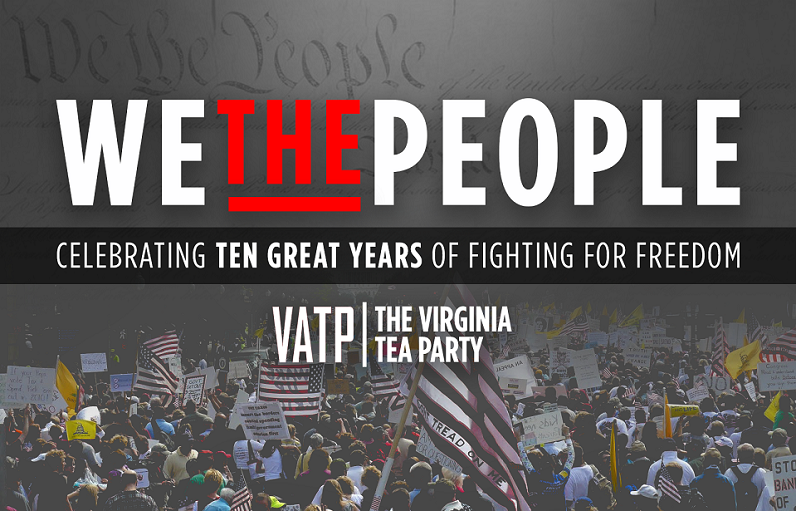 The Virginia Tea Party Patriots Federation is a coalition of 41 independent Tea Party and patriot groups that stand for fiscal responsibility, Constitutionally-limited government, and free market principles. For a list of special-interest tax credit bills, please contact Mark Daugherty. HB 19 – Kilgore – Income tax, state; deduction for certain purchases from space flight entities. HB 103 – Loupassi – Consumer utility tax; exemption for public utilities, etc. on natural gas used to make electricity. HB 105 – Loupassi – Machinery and equipment recyclable materials; tax credit for those used by certain manufacturers. HB 111 – Bell, Richard P. – Small business job creation tax credit; creates credit for those creating new full-time jobs. HB 130 – Kilgore – Income tax, state; military retirement pay subtraction. HB 131 – Kilgore – Income tax, state; tax credit for disabled military veterans. HB 145 – Englin – Retail Sales and Use Tax; removes $2,000 cap on amount of tax imposed on watercraft. HB 149 – Ransone – Income tax, corporate; lower rate for certain businesses. HB 191 – Herring – Small businesses; tax credit for those hiring graduates of Virginia’s colleges. HB 216 – Comstock – Retail Sales and Use Tax; exemption includes certain computer equipment and enabling software. HB 228 – Habeeb – Income tax, corporate; credit for contracting with small or minority-owned businesses. HB 276 – Peace – Neighborhood Assistance Act tax credits; eligibility of certain mediators. HB 299 – Scott, E.T. – Retail Sales and Use Tax; extends sunset date for exemption of certain educational materials. HB 300 – Scott, E.T. – Beehive tax credit; created for new beehives of $200 per hive for registered beekeepers. HB 321 – Massie – Income tax, state; educational improvement scholarships tax credits. HB 335 – Villanueva – Income tax, state and corporate; deduction for investors in small businesses. HB 340 – Wilt – Neighborhood Assistance Tax Act Credit Program; requires organization must meet for tax credits. HB 368 – Webert – Neighborhood Assistance Act tax credits; eligibility of certain mediators. HB 408 – Watts – Real property tax; exemption for elderly and disabled. HB 446 – Toscano – Coal tax credits; termination of certain credits. HB 456 – Ware, R.L. – Riparian forest tax credit; refund. HB 505 – Garrett – Income tax, state; increases long-term care insurance credit. HB 514 – Purkey – Tax credits; for costs to comply with excessive state regulations. HB 516 – Purkey – Income tax, state; advances conformity with federal law. HB 517 – Purkey – Income tax, state; creates deductions for life, medical, and dental insurance premiums. HB 518 – Purkey – Income tax, state; deductions for life, medical, and dental insurance premiums for certain people. HB 531 – Cole – Historic rehabilitation tax credit; certain income under federal law is not income for State tax. HB 551 – Comstock – Telework expenses tax credit; extended for employers through December 31, 2015. HB 585 – Merricks – Income tax, state; small business investment tax credits. HB 714 – Kilgore – Major business facility job tax credit; extends credit to December 31, 2014. HB 720 – Yancey – Worker retraining tax credit; increase in credit amount. HB 743 – Fariss – Farm utility vehicles; tax exemption. HB 746 – Cline – Farm vehicles; exemption from registration. HB 783 – Lopez – Microenterprise investment tax credits; created for individuals who make qualified investment. HB 811 – May – Corporate tax credit; taxes paid in another state. HB 819 – Marshall, R.G. – Virginia College Savings Plan; acceptance of commemorative coins minted by State Treasurer. HB 841 – James – Major business facility job credits & enterprise zone job creation grants; not allowed for same job. HB 862 – Rust – Income tax, state; deduction for tolls. HB 879 – Sickles – Income tax, state; subtraction for certain death benefit payments. HB 883 – Sickles – Income tax, state; credit for solar energy equipment systems. HB 908 – Minchew – Land preservation tax credit; application for credits prior to any donation. HB 933 – Lingamfelter – Real estate tax; exemption for disabled veterans. HB 993 – Robinson – Homestead exemption; increases if householder is 65 years of age or older. HB 999 – Ramadan – Teleworks tax credit; for individual who teleworks a minimum of 20 hours per week. HB 1000 – Ramadan – Telework expenses tax credit; extended for employers through December 31, 2015. HB 1006 – Ramadan – Home school instruction tax credit; includes amount paid for materials and correspondence courses. HB 1013 – Comstock – Income tax, state & corporate; extends subtraction for capital gains from investments in businesses. HB 1023 – Englin – Income tax, state and corporate; tax credit for hiring certain individuals. HB 1041 – Keam – Income tax, state and corporate; tax credit for hiring veterans. HB 1046 – Keam – Real property tax; exemption for elderly and disabled. HB 1049 – Anderson – Income tax, state; tax credit for taxpayers employing persons in STEM internship positions. HB 1050 – Anderson – Income tax, state; tax credit for hiring military persons as STEM interns. HB 1153 – Massie – Income tax, state; conformity with federal law. HB 1155 – Filler-Corn – Income tax, state; taxation of trusts established for disabled individuals. HB 1170 – Kory – Income tax, state and corporate; credit for service renewable energy property. HB 1183 – Cosgrove – Virginia Port Authority; amends several provisions governing conduct of business. HB 1192 – O’Quinn – Coalfield employment enhancement tax credit; eliminates sunset date. HB 1194 – Garrett – Farm wineries and vineyards tax credit; raises credit beginning on or after January 1, 2012. HB 1268 – Brink – Land preservation tax credit; reduces amount that may be claimed for taxable years 2012 and 2013. SB 37 – Reeves – Retail Sales and Use Tax; extends sunset provision for certain educational materials. SB 61 – Stanley – Income tax, corporate; lower rate for certain businesses. SB 68 – Stanley – Income tax, corporate; creates industrial building rehabilitation tax credit. SB 70 – Stanley – Retail Sales and Use Tax; two-year sales tax moratorium for construction materials & supplies. SB 78 – Watkins – Income tax, corporate; taxes paid in another state. SB 112 – McDougle – Retail Sales and Use Tax; exemption includes certain computer equipment and enabling software. SB 131 – Stanley – Income tax, corporate; educational improvement scholarships credit. SB 178 – Stuart – Satellite office expenses tax credit; creates a $250,000 tax credit for certain businesses. SB 226 – Herring – Income tax, state & corporate; extends subtraction for capital gains from investments in businesses. SB 232 – Herring – Retail Sales and Use Tax; exemption includes certain computer equipment and enabling software. SB 238 – Herring – Telework expenses tax credit; extended for employers through December 31, 2016. SB 241 – Obenshain – Tax credits; businesses providing assistance to low-income families, etc., in private schools. SB 262 – Ebbin – Microenterprise investment tax credits; created for individuals who make qualified investment. SB 341 – Newman – Income tax, state; increases long-term care insurance credit. SB 344 – McDougle – Income tax, state; small business investment tax credits. SB 352 – Deeds – Land conservation tax credit; transfer in event of death. SB 354 – Deeds – Beehive tax credit; created for new beehives of $200 per hive for registered beekeepers. SB 355 – Deeds – Land preservation tax credit; information about issued credits. SB 368 – Reeves – Major business facility job tax credit; extends time credit may be taken over a two-year period. SB 393 – Hanger – Media-related tax exemptions; extends sunset provision until 2017. SB 403 – Hanger – Land preservation tax credit; increased for working farmers. SB 404 – Hanger – Riparian Forest Grant Program; created, sunset date for riparian forest tax credit. SB 444 – Vogel – Historic rehabilitation tax credit. SB 567 – Lucas – Low-income and student toll tax credit; established. 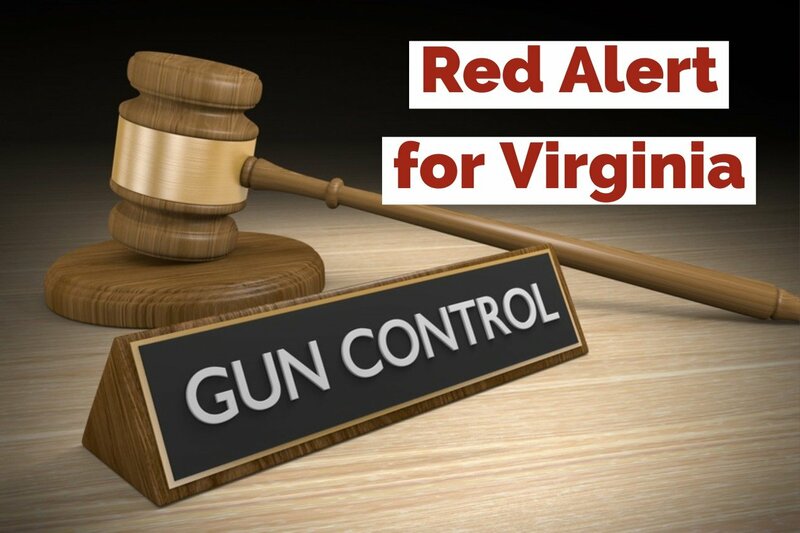 SB 578 – Wagner – Virginia Port Authority; amends several provisions governing conduct of business. SB 609 – Carrico – Coalfield employment enhancement tax credit; extends sunset date to January 1, 2017. SB 616 – Puckett – Coalfield employment enhancement tax credit; eliminates sunset date. SB 620 – Petersen – Income tax, corporate; credit for contracting with small or minority-owned businesses. SB 658 – Puckett – License tax, local; ordinances for severance oil, coal, or gas from earth, report. SB 680 – Wagner – Neighborhood Assistance Act tax credits; lowers threshold of percentage of impoverished people. SJ 86 – Wagner – Machinery and tools, local; TAX to study impact of income tax credit for taxes paid by manufacturer.